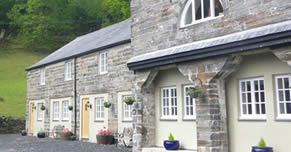 The Oakley Arms is a warm welcoming hotel in the heart of the Snowdonia National Park, in a small village called Maentwrog. The hotel has managed to keep its 16th centruy beauty, whilst at the same time; offering people an exceptionally comfortable and modern living space for the duration of their stay. The hotel has kept it's Welsh heritage, which means when you stay, you will get a real feel of scenic Wales. The grade two listed building is one of the most histroic hotels in Wales. A range of facilities and services available at the Oakley Arms includes beauty and therapy treatments, guided walks, bar & restaurant and much more. This hotel si the perfect base for anyones break away or holiday from everyday life, giving you a relaxing, interesting and tranquil holiday experience.